What a busy spring for FoRRP! Another project that we heard about well over a year ago is moving forward, with work starting this Monday (May 9th) and expected to last up to 3 weeks. 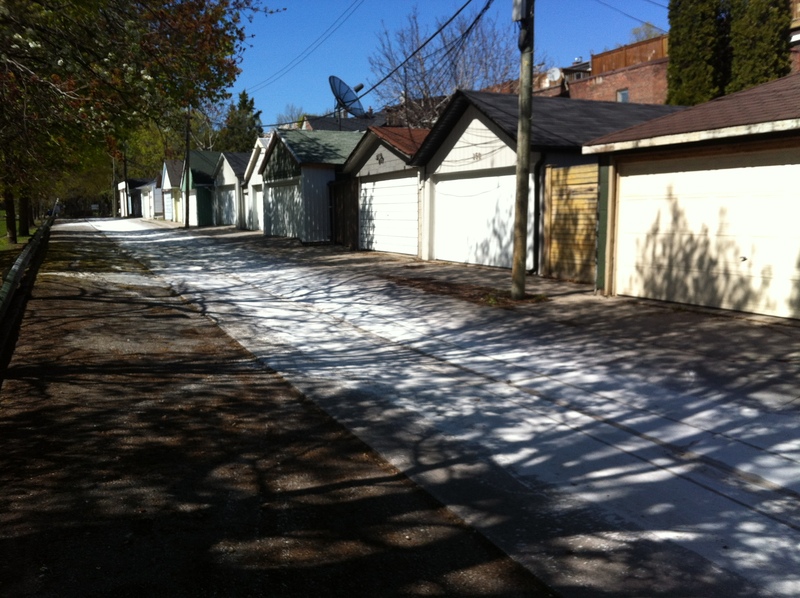 Called the Laneway Puncture Project, it will take place in the laneway adjacent to the playground portion of Fred Hamilton Park, and behind the homes on Shaw St. stretching from Harrison up to the southern edge of the park. This project is one of two prototypes being installed by the City in conjunction with laneway greening advocates from The Laneway Project, David Suzuki Foundation, Ecoman, and Victoria Taylor Landscape Architect. FoRRP is happy that this lane was chosen as a prototype since the concept of greening is very much in keeping with our WaterHarvest objectives, and it might feel like the borders of the park are expanded just a little bit! A green laneway in Vancouver. A “puncture” is a central strip of green. There will be a larger green section about mid-way along the lane.